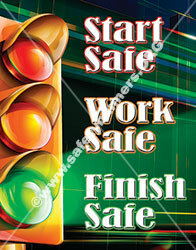 Workplace Safety Posters - ALWAYS Fully Laminated at NO ADDED COST - NO Minimum Order! 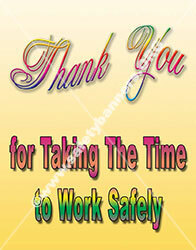 CLICK HERE for all our workplace safety posters and banners . Our Hi-Impact laminated workplace safety posters are ALWAYS fully laminated to survive in the American industrial environment and look great for years. Also, our workplace safety posters come in a wide variety of sizes. We offer more safety poster sizes and options than any other workplace safety poster manufacturer in the America - BAR NONE! 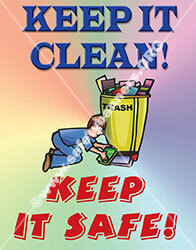 Our high quality health and workplace safety posters are printed on high quality photo paper. The safety posters are intended for indoor use. However, if you need safety posters for OUTDOORS, wet environment or rough use, we have the capability to laminate any of our safety posters to give you exterior or wet environment use capability. 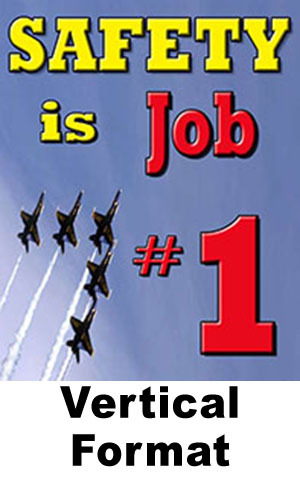 Health and Safety Posters - from SafetyBanners.Org. 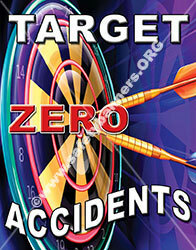 Powerfully Impact Employee Behavior with Low Cost, High Impact Safety Posters! 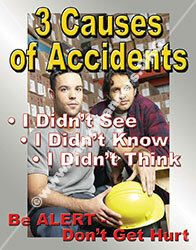 Safety posters are used in the vast majority of U.S. manufacturing facilities to help increase safety awareness. Our safety posters are used to keep employees thinking about safety all the time - Full Time Safety Awareness. Health and safety posters keep safety top of mind all the time.